Fall is easily one of the most enjoyable times of year for homeowners all over the country. With so many different activities to enjoy and so many holidays to celebrate, it can be easy to lose track of the time, and before you know it, winter is upon us. Before winter arrives fully, there are going to be several tasks around your home that you want to get done to help prepare your house for the cold months ahead. While there are a number of different projects that can benefit from your attention, taking the time to make sure that your home's plumbing system is adequately protected is of the utmost importance. In an effort to help you with this task, our team of professionals have taken the time to put together this short list highlighting a few of the most helpful tips we have gathered over our years of service to help you ensure your home's plumbing system is prepared for whatever the coming winter has the throw at it. The first step to making sure that your home's plumbing system is adequately prepared for the coming winter is to make sure you have a team of professionals come in and address any existing leaks you might have in your system. If you aren't sure whether your system has leaks or not, it might be worth having those professionals perform an inspection of your plumbing system to verify its condition. Even the smallest leaks in your plumbing system can be the starting point of major issues when the temperature starts to drop in the coming months. These leaks are a natural weak point for your pipes, and as the water starts to expand as it gets closer to freezing, these weak areas become the most vulnerable spots to bursting. Having these pipe leaks repaired before the temperatures start to drop can go a long way in saving you both money and headache this winter. Another thing you are going to want to do before winter actually arrives is to ensure that any pipes that run through unheated areas of your home are properly insulated. This can include any pipes that run through your garage, your attic, or in your crawl spaces. Since these areas aren't going to be heated by your home's HVAC system, they are particularly vulnerable to the cold in winter, and it can be a disaster if one of them were to burst and flood water into or under your home. While the job can be done on your own by picking up some insulating plumbing foam from your local hardware store, if you aren't sure of what you should be doing, it might be best to call in the professionals and have them take care of it for you. Making sure that your pipes are properly insulated is a great way to get a little peace of mind this coming winter and ensure you don't have to spend any of the money set aside for the holidays on expensive plumbing repairs. Despite what you might think, the most common pipes to burst in homes during the winter are the pipes connected to outdoor faucets. These are generally hard to insulate properly, and if there is any lingering water in these pipes when the temperatures get too low, it is very easy for these pipes to swell and burst. This fall, you will want to make sure that you remove any hoses or other attachments from these outdoor faucets and store them away somewhere safe until the weather warms up. After doing this, the best thing you can do for your home is to locate the outdoor shutoff valve and cut the water to them entirely. After turning off their water supply and ensuring that they are completely drained, you should have very little to worry about regarding their safety this winter. 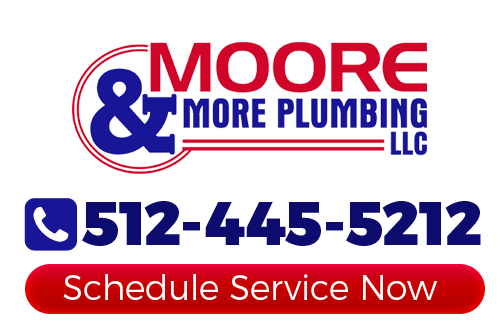 Contact your Austin plumber at Moore & More Plumbing, LLC today! If you are looking for a professional plumber in Austin, TX, give us a call today at 512-445-5212 or complete our online request form.